18+ only. Enter between: 17.06.16 and 18.08.16. No purchase necessary. 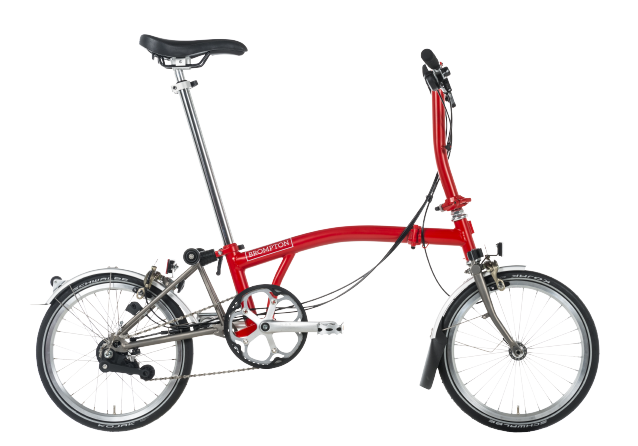 To Enter: Visit www.Brompton.com/buildandwin and submit your details to be entered into the prize draw. Prizes: 8x custom-made Brompton bikes to the value of £1400 per bike. Visit www.brompton.com/legal for full terms & prize details. Promoter: Brompton Bicycle Ltd. This Promotion is open to those aged 18 or over, excluding employees of the Promoter, their families, agents or anyone else professionally connected with this Promotion. All entrants must ensure that their participation (including the acceptance of any Prize awarded) is lawful in accordance with the laws of the country of which they are a citizen and/or resides. This Promotion is void where void under local national laws. The Promoter shall not be taken to make any representations, express or implied, as to the lawfulness of any individual's participation, or as to any other aspect of the Promotion. Promotion Period: Enter between 10.00 BST (British Summer Time) on 17th June 2016 and 23.59 BST on 19th August 2016. To Enter: Visit www.Brompton.com/designandwin and enter your full name, email address, country of residence and colour of bike to be entered into the Prize Draw. Multiple entries are permitted throughout the Promotion Period. 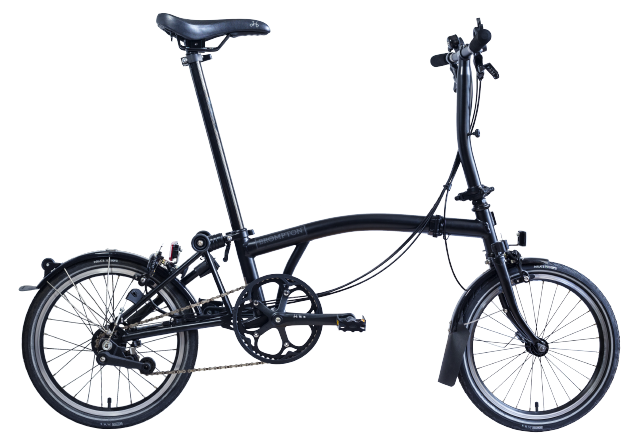 Prizes: 8 winners will each win 1x custom-made Brompton bike up to the value of £1400 each. 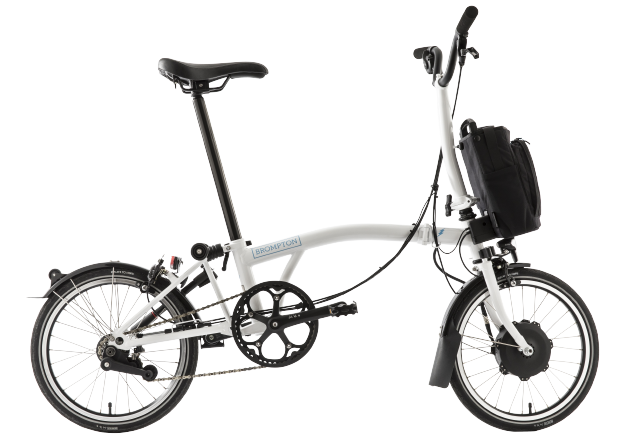 Winners will be able to choose from a range of colours(at entry stage), gearing options, riding styles and accessories for their custom-made Brompton bike. The custom-made Brompton bikes will be delivered to the winner’s chosen dealer/store for the winner to collect. 10. In the event of unforeseen circumstances the Promoter reserves the right to substitute the prize for an alternative of equal or greater value. 11. Please allow up to 40 days for delivery of the prizes from the date of winner acceptance. 13. Winner Notification: Winners will be contacted via the email address provided upon entry within 5 working days of the draw and will be required to respond to confirm eligibility plus acceptance of the prize within 14 days of initial contact. In the event a winner does not respond to communications within the 14 days of initial contact, the Promoter reserves the right to disqualify that winner and allocate that prize to an alternate winner selected in the same manner. 14. The Promoter reserves the right to verify the eligibility of entrants. The Promoter may require such information as it considers reasonably necessary for this purpose and a prize may be withheld unless and until the Promoter is satisfied with the verification. 15. All entries must be made by the entrant themselves. Bulk entries made from trade, consumer groups or third parties will not be accepted. Incomplete or illegible entries, entries by macros or other automated means (including systems which can be programmed to enter), and entries which do not satisfy the requirements of these terms and conditions in full will be disqualified and will not be counted. If it becomes apparent that an entrant is using a computer(s) to circumvent this condition by, for example, the use of ‘script’, ‘brute force’, masking their identity by manipulating IP addresses, using identities other than their own or any other automated means in order to increase that entrant’s entries into the Promotion in a way that is not consistent with the spirit of the Promotion, that entrant’s entries will be disqualified and any prize awarded will be void. 16. No responsibility is accepted for entries lost, damaged or delayed or as a result of any network, computer hardware or software failure of any kind. Proof of sending will not be accepted as proof of receipt. 18. The Promoter cannot accept any responsibility for any damage, loss, injury suffered by any entrant entering the Promotion or as a result of accepting the Prize. Nothing shall exclude the Promoter’s liability for death or personal injury as a result of its negligence. 19. If for any reason the Promotion is not capable of running as planned for reasons including but not limited to tampering, unauthorised intervention, fraud, technical failures or any other causes beyond the control of the Promoter which corrupt or affect the administration, security, fairness, integrity or proper conduct of this promotion, the Promoter reserves the right (subject to any written directions given under applicable law) to disqualify any individual who tampers with the entry process and to cancel, terminate, modify or suspend the Promotion. 21. Winners may be requested to participate in reasonable publicity arising from the Promotion. 22. The name and county of the winnerS will be available by sending a self - addressed envelope to Brompton Bicycle Ltd, Unit 1 Ockham Drive, Greenford. London. UB6 0FD after 1st October 2016 for 4 weeks. 23. By entering this Promotion, all participants will be deemed to have accepted and be bound by these terms and conditions. 24. The Promoter’s decision is binding in all matters relating to this Promotion, and no correspondence shall be entered into. 25. This Promotion is governed by English Law and participants submit to the exclusive jurisdiction of the English courts.